Perhaps you’ve noticed it’s getting a little difficult to thread the hook while on the water. No, the eyes on the hooks aren’t getting smaller (sorry). Presbyopia happens to everyone, usually beginning in the mid-40s. The eye’s lens loses flexibility, which makes it more difficult to focus on close up objects. 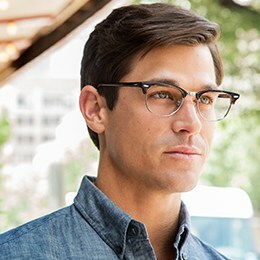 If you don’t wear glasses for distance vision but need a boost for close-up tasks, you can get by with a pair “cheaters,” or reading glasses. While you’re indoors, this may work—but the sunglasses and readers shuffle can become a hassle, especially on the water. Polarized fishing sunglasses with reading lenses or bifocal fishing sunglasses are here to save the day. Why wear bifocal sunglasses while fishing? Your eyes need protection from the sun’s UV rays—even on cloudy days. This is doubly true while on the water. The surface of the water reflects harsh rays directly into your eyes, which can cause temporary eyestrain or discomfort, or even permanent damage to your vision. Fishing sunglasses protect your eyes from exposure to the sun, and they block wind, sand, and debris. 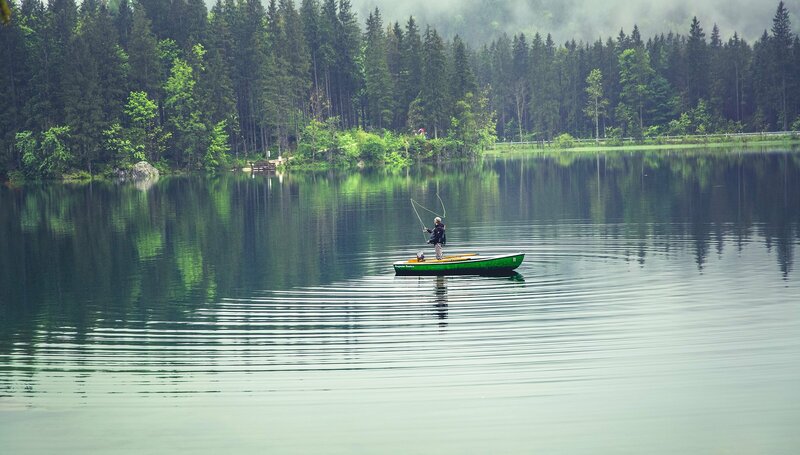 You don’t have to choose between comfort and clear vision—fishing sunglasses with bifocal lenses can help you focus on the fine details without altering your distance vision. You can tie knots and consult maps or fishing guidebooks without switching between readers and sunglasses or fiddling with sunglasses stacked over magnifying lenses. How the sunglasses grip your face—a snug fit is best to block sun, wind, and dust and will prevent slipping. Where the bridge rests on your nose—they should not slip or pinch for the best vision. Getting the ideal coverage—if light comes in over the top or at the sides, they aren’t doing a good enough job. The correct lens power or magnification—lenses with too high a power can cause eye strain, headaches, or disorientation, but too little won’t provide crisp close vision. Even if you’ve got a comfortable, secure fit, accidents can happen—styles that float or using straps to secure them around your neck will save you from having to replace fishing sunglasses that have made the journey to Poseidon’s doorstep. Are polarized reading sunglasses better for fishing? If your favorite place is on the water, you’re likely familiar with the discomfort caused by glare. This is why polarized sunglasses are essential to anglers and boaters. Polarized lenses do not offer protection from UV damage—only 100% UV blocking lenses can provide that—but combined with UV protection, polarized lenses are favored amongst anglers from riverbanks to the salt. Polarized sunglasses cut through reflections, glare, and haze caused by the sun. This translates to less squinting, reduced eye strain, and improved vision on the water—and more fish in the net. There are also implications for safety as you’re better able to see obstacles below the water such as rocks and debris. In wade-fishing, you may also be able to spot more fish under the water as the reflection from the sun is reduced. Polarized lenses may require an adjustment period to truly appreciate the benefits, and not all polarized sunglasses are equal. Cheap drugstore lenses may not provide the same level of comfort as the polarized lenses trusted by anglers. Heading to the water with a pair of bifocal fishing sunglasses with polarized lenses can prevent eye strain and help you tackle those pesky knots, without the need for an extra pair of reading glasses. There are only so many pockets on your fishing vest, so save the space for your fly box—hit the water with eyewear that pulls double duty. Try a pair of polarized reader sunglasses on your next fishing trip and quit squinting.